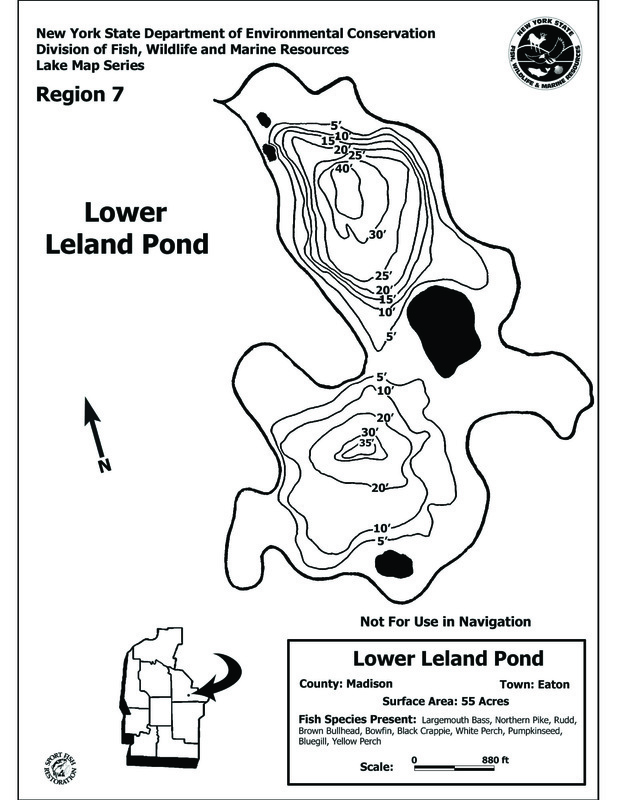 Upper and Lower Leland Ponds are located in Madison County along Route 26 near the hamlet of Bouckville. 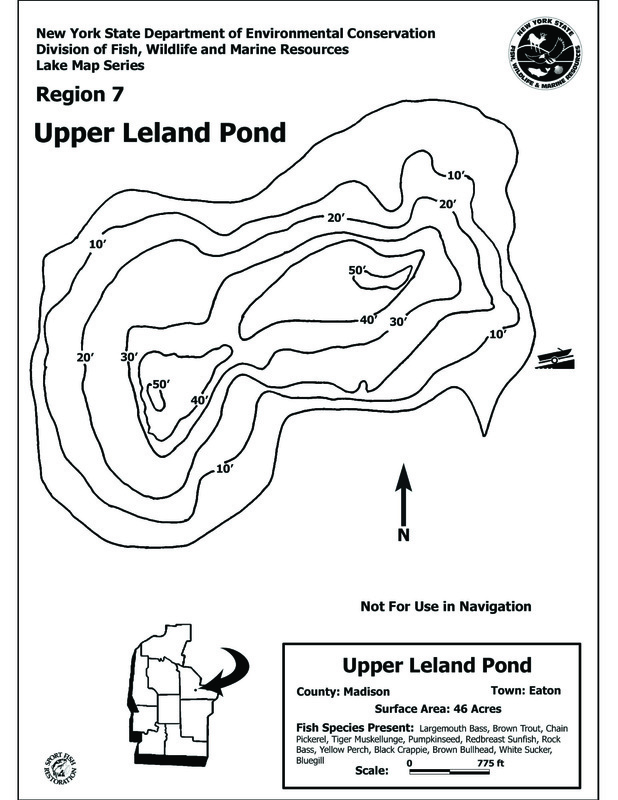 Upper Leland Pond - On Route 26, approximately one mile southwest of the hamlet of Bouckville. Concrete launch ramp. Parking for 10 cars and trailers. Universally accessible fishing pier. Lower Leland Pond - Undeveloped hand launch, across from Upper Leland parking area. Upper and Lower Leland Ponds are connected by a channel that runs through a culvert under the highway. This culvert is too small for boat passage, but it does allow fish movement. Upper Leland offers a cold water fishery for brown trout along with warm water gamefish such as large-mouth bass and tiger musky. Lower Leland is shallower and weedier and offers a better opportunity for large-mouth bass and tiger musky. Bluegills, pumpkinseeds, black crappie, brown bullhead and yellow perch can also be found in both ponds. Upper Leland Pond is stocked annually with approximately 1,360 year-old brown trout. Lower Leland Pond receives approximately 155 tiger musky annually. Special fishing regulations exist for trout in Leland Ponds. Please consult the Special Regulations by County section of your fishing regulations guide.